James J. McGraw, Jr. is the President and Chief Executive Officer of KMK Consulting, a subsidiary of KMK Law where he is an active Business Group Partner. Jim’s clients include national and international firms in the areas of real estate, financial services, manufacturing, energy, and technology, along with a wide variety of economic development organizations across the country. Jim is a nationally recognized consultant in the area of economic development having worked in more than 100 cities and regions across the US, helping community and business leaders design and build some of the country’s leading economic development organizations including such markets as Baltimore, Baton Rouge, Charlotte, Charleston, Honolulu, Kansas City, Omaha, Orlando, Phoenix, San Diego, Tampa and Tucson. Currently, Jim is directing site selection incentive and public finance negotiation projects for various public and private companies and communities which encompass over 6300 jobs in nine states and more than $500M of capital investment. In Cincinnati, Jim co-authored a major strategic planning effort for the City of Cincinnati with the Brookings Institution and RCLCO called Go Cincinnati, has been a member of the Governing Board of the Cincinnati USA partnership (now REDI), was a Co-Chair for Economic Competitiveness for Agenda 360, served on the Board of Downtown Cincinnati, Inc. and is a founding Board member of BIO/START, the region’s first bio technology business incubator. He’s currently Board Chair of Mercy Health, the largest health care system in Cincinnati and is incoming Board Chair of the Greater Cincinnati Convention & Visitors Bureau. Jim is a member of Best Lawyers in America for his work in Economic Development. Jim is a graduate of Notre Dame where he is a member of the Notre Dame Monogram Club and the Advisory Board for Executive Education at Notre Dame’s Mendoza School of Business. Jim and his wife Anne have four daughters and eight grandchildren. Roxanne has spent her career serving Cincinnati and her people. Now, as your real estate agent, she puts her expertise and knowledge in your service so you can make the best choice possible when you buy or sell your home. Roxanne understands the housing and neighborhood qualities today’s home buyers and sellers want and expect - walkable neighborhoods, “green living,” and easy access to work, entertainment, and services. She also offers impeccable service that is nimble, responsive, and tailored to your lifestyle. Roxanne grew up in Northern Kentucky and has lived in Cincinnati since she was in college. She lives in downtown Cincinnati with her husband and her two rescue dogs. She enjoys hiking, kayaking and biking for recreation. 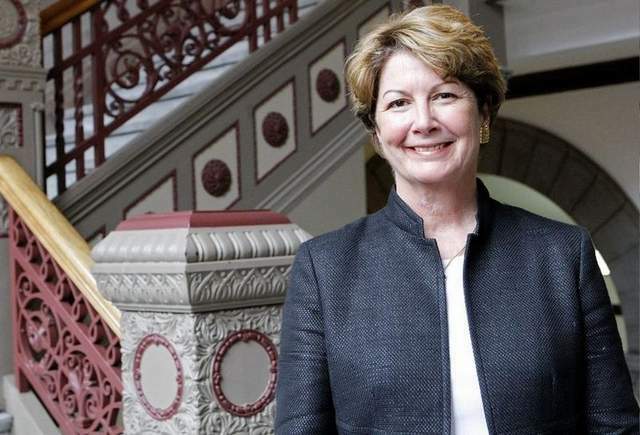 Roxanne continues her community service by serving on the board of the Music Hall Revitalization Corporation and of the Form-Based Code Institute, and as a member of the Over-the-Rhine Chamber and the Downtown Residents Council.